[John Corrie, dissenting minister of Woodville, Birmingham.] Manuscript 'Biographical Sketch of John Corrie Esq.' by his widow, in the autograph of their daughter S. E. Hill, and with an Autograph Letter Signed by her filled with further information. The account is dated to 1841. The letter is written from '<Stockley?> Rectory | Wedy. night'. Corrie was the son of Rev. Josiah Corrie (1725-1800) of Kenilworth. He was educated at Daventry Academy and New College, Hackney. He was a schoolmaster and a Unitarian minister at the Old Meeting House (1817-19), and president of the Birmingham Philosophical Society, to which, in 1819, he introduced Maria Edgeworth, who notes in a letter her admiration for his 'very agreeable benevolent countenance, most agreeable voice'. In William Field's memoir of Dr Samuel Parr he is numbered among the 'clerical friends' in whose company Parr 'delighted'. Manuscript 'Case for Mr. Wheeler', asking 'Whether Mrs. Boulton [Anne, wife of James Watt's partner Matthew Boulton] is or is not dowable of a Moiety of this Estate?' With Francis Wheler's signed autograph legal opinion on the question. 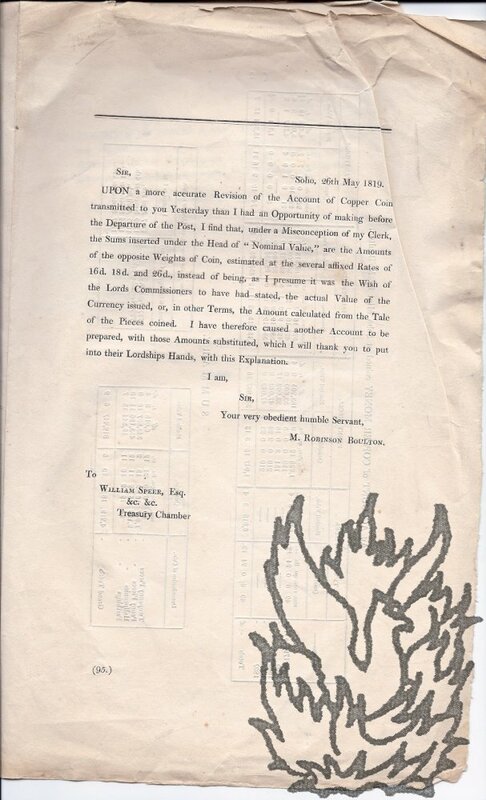 Wheler's opinion dated 'Temple July 12 1764'. Folio, 1 p. Text clear and complete. Lightly-aged and creased. Remains of red wafer in left margin. 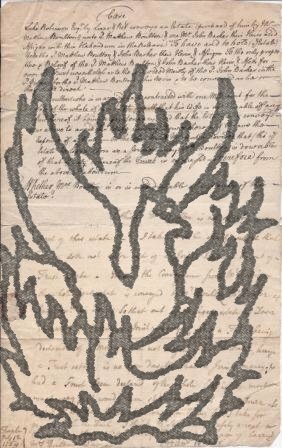 Folded into a packet, and docketed on reverse 'Case for Mr. Wheler | 1 G[uine]a. | Martin & Hay for Nevill'. 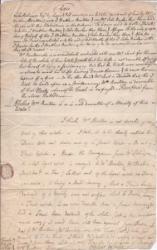 The upper half of the document consists of eighteen lines in the hand of the enquirer (presumably one of a firm of solicitors named 'Martin & Hay", acting for one 'Nevill'), with the last two lines posing the question; the lower half consists of fifteen lines in Wheler's hand, signed by him 'Frans Wheler', and dated by him in the bottom left-hand corner. [Printed handbill] 'An Account of the Quantity of Copper Coined by Mr. Boulton, Distinguishing the Amount of Twopenny Pieces, Penny Pieces, Halfpence, and Farthings into which it was coined, with the Nominal Value of each'. Folio, 3 pp. Bifolium. Full title lengthwise (because intended to be folded into packet) on reverse of second leaf: 'An Account of the Quantity of Copper Coined by Mr. Boulton, Distinguishing the Amount of Twopenny Pieces, Penny Pieces, Halfpence, and Farthings into which it was coined, with the Nominal Value of each: And also, A Statement of the Market Price of Copper At the Time the Contracts were made with Mr. Boulton.' Text clear and complete. On aged and creased paper. 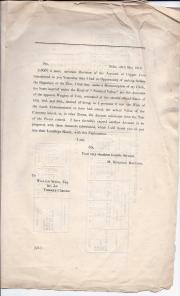 The first page, with '(95.)' in bottom left-hand corner, prints the transcript of a letter from 'M.